The steel version of the Manhattan stove has been specially designed to co-ordinate with today’s contemporary interiors. With style and precision engineering, this gas stove will become an outstanding focal point in any room. 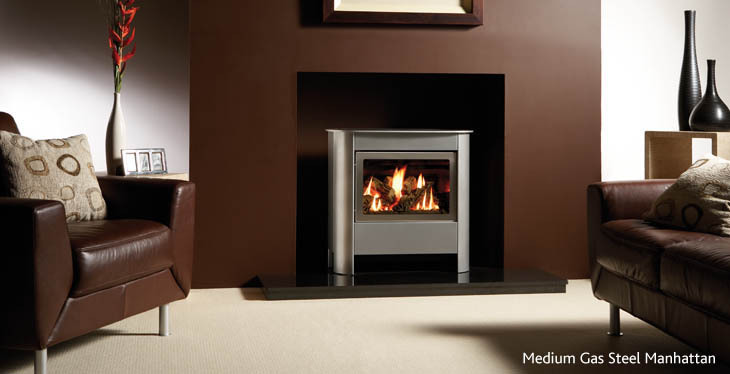 It is available in two sizes and two finishes, with the additional choice of coal or log effect fuel beds.